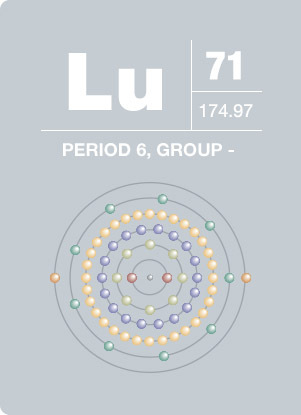 Found with almost all other rare earth-metals but never by itself, lutetium is extremely difficult to isolate. Consequently, it is one of the most expensive metals-costing about six times as much per gram as gold. Not surprisingly lutetium has no large scale practical uses. Stable lutetium nuclides can be used as catalysts in cracking, alkylation, hydrogenation and poly- merization processes. It is used as catalyst in petroleum cracking in refineries. Lutetium aluminum garnet has been proposed for use as a lens material in high refractive index immersion lithography.